The phrase “drowsy driving” does not elicit the same amount of outrage as do other terms describing irresponsible driving behaviors, such as “drunk driving” or “texting and driving.” According to recent research, that should change. A new report from the AAA Foundation for Traffic Safety shows that drowsy driving appears to play a role in a much greater share of traffic accidents than was previously realized. 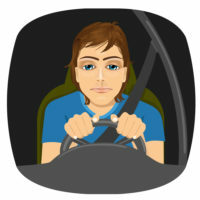 Drowsy driving has been difficult to research, since drivers cannot be tested for drowsiness with the same precision as they can be for substance use. The recent AAA Foundation study found a new way to examine driver sleepiness by using video footage taken of drivers prior to a crash. Over 3,500 drivers participated in the study, allowing their behind-the-wheel behavior to be filmed by a continuously-running camera. Researchers later reviewed the footage in cars where the driver was involved in an accident, analyzing the final three minutes before a crash occurred to look for drowsiness in the driver. Drowsiness was measured by watching a frame-by-frame version of the video and looking at the amount of time that the driver’s eyes were closed, a measure that past research has demonstrated is associated with drowsiness, inattentiveness, and swerving in and out of lanes. According to researchers, about 9-9.5% of drivers involved in a crash exhibited signs of drowsiness in the moments before the crash. This percentage was even higher in more serious crashes: 10.6-10.8% of drivers involved in a crash that caused airbag deployment, major damage to property, or physical injuries appeared to be drowsy before the crash. “As many Americans struggle to balance their busy schedules, missing a few hours of sleep each day can often seem harmless. But missing just 2 to 3 hours of sleep can more than quadruple your risk for a crash, which is the equivalent of driving drunk,” explained the AAA Foundation’s director of research and advocacy, Jake Nelson. These drivers who put other roadway occupants at risk of injury by failing to take themselves off the road when they realize that they’re too drowsy to drive can face serious liability should they cause a crash. For assistance in getting the compensation you need after a serious injury accident in New York, contact the dedicated, knowledgeable, and trial-ready Manhattan personal injury lawyer Leandros A. Vrionedes for a free consultation at 212-889-9362.